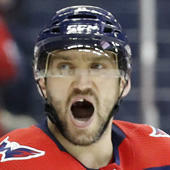 No one, however, could have predicted that he might hang up the skates due to an allergic reaction to hockey equipment. For now, according to a statement from Hossa through the Blackhawks on Wednesday, he will miss the 2017-18 season. Over the course of the last few years, under the supervision of the Blackhawks medical staff, I have been privately undergoing treatment for a progressive skin disorder and the side effects of the medications involved to treat the disorder. Due to the severe side effects associated with those medications, playing hockey is not possible for me during the upcoming 2017-18 season. While I am disappointed that I will not be able to play, I have to consider the severity of my condition and how the treatments have impacted my life both on and off the ice. It's a sensitive deal for Hossa and no doubt a curious one, too, seeing as though the former Stanley Cup champion has already been in the league for two decades and would hit Chicago hard financially if he were to step away from the game. According to a report from Sportsnet's Elliotte Friedman Hossa's NHL career could be over. The longtime Blackhawk and former Senators, Thrashers, Penguins and Red Wings forward, per Friedman, is likely to head into either retirement or long-term injured reserve because of "a serious allergic reaction to the equipment he wears." If he were to retire now, the Blackhawks would be hit with what are called "cap recapture" penalties -- $3.675 million off their club's cap number from next season until 2020-21. For a team already facing a crunch, that's a massive blow. The Blackhawks, of course, have their sights set on one thing, and it isn't money. It's supporting their 500-goal man as he battles his condition. Because of the dramatic nature of the medications required and their decreasing effectiveness, we strongly support his decision not to play during the 2017-18 season. We feel in the most certain terms this is the appropriate approach for Marian in order to keep him functional and healthy in the short term and throughout his life.